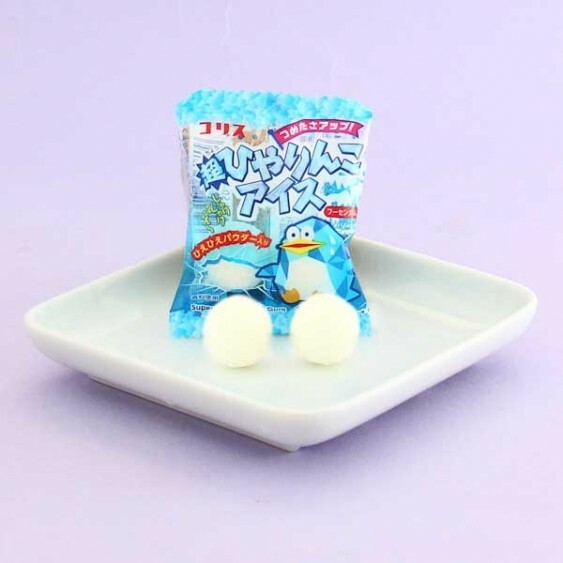 This ice bubble gum from the super popular Japanese manufacturer Coris is a must-try for all bubble gum lovers! The hard bubble gum balls have an apple flavor and exciting cooling effect - it's like you're eating icy snow balls straight from Antarctica! Put them in the fridge for a moment to cool and you will be ice cool when tasting these bubble gums! The small package comes with 2 big bubble gum balls. Dare to try them?